That could potentially be deleted apps, especially if you did a full delete of them (clearing caches/appdata/etc.). Try to catch them running, so you can double click them to get more info. If you aren't noticing any problems with your Mac's battery life, you can just ignore this. Remember: High Sierra hasn't been out for very long, and is one of the buggiest release of Mac OSX to date. You may have to ask Apple Support if this continues to bother you. Not the answer you're looking for? 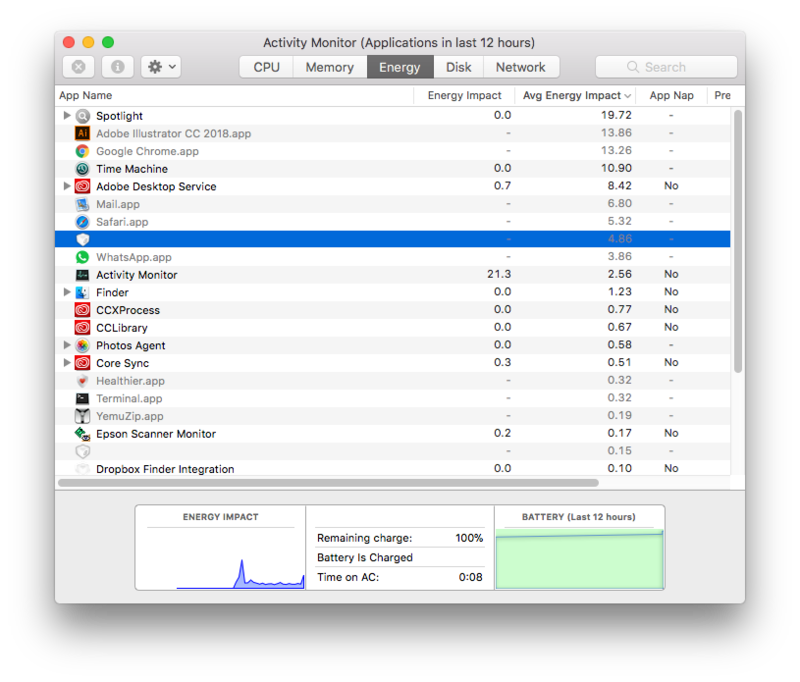 Browse other questions tagged activity-monitor macos energy .